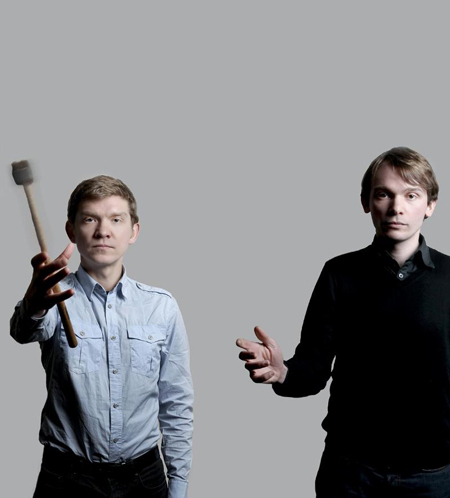 I can’t believe its already been three years since Sunderland, England’s Field Music went on a self-imposed hiatus. Well, to make up for lost time, they’ve just released Measure, a 20 track double album which hit stores this past tuesday. KCRW has put the album up for streaming here, but for a quick listen, check out the song they previewed recently at Stereogum. Its called ‘Each Time Is A New Time‘ and upon my many listens, I’m thinking that 2010 will be a lot of time spent listening to this band. Glad the Brewis brothers are back writing music together. Nothing against the solo projects (School of Language, The Week That Was), just think it sounds better when they’re under the same moniker.